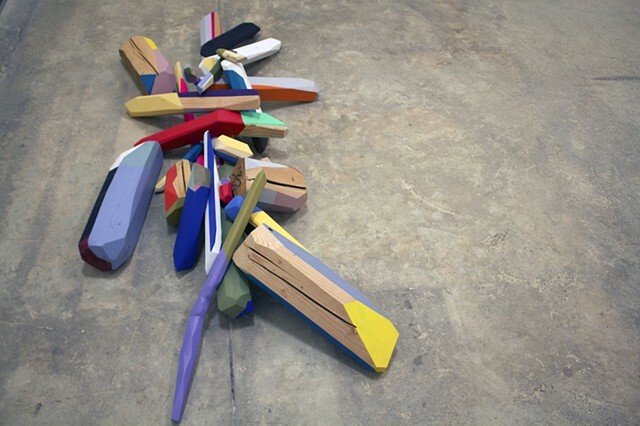 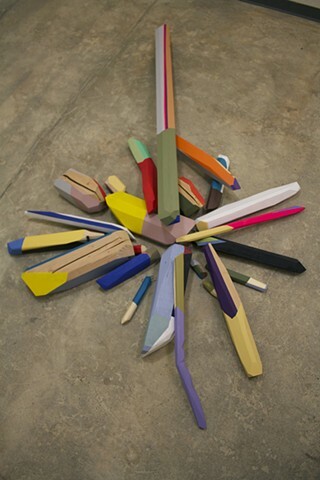 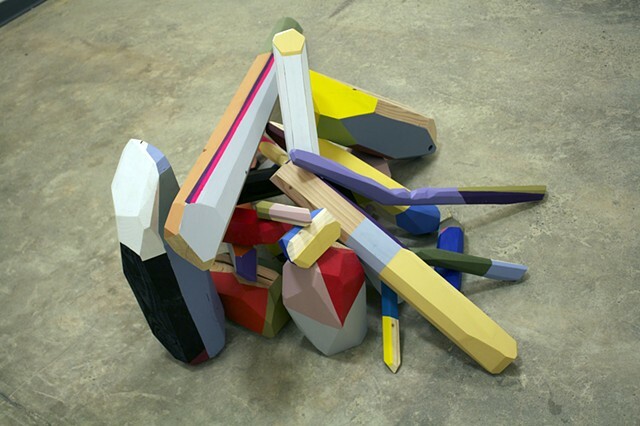 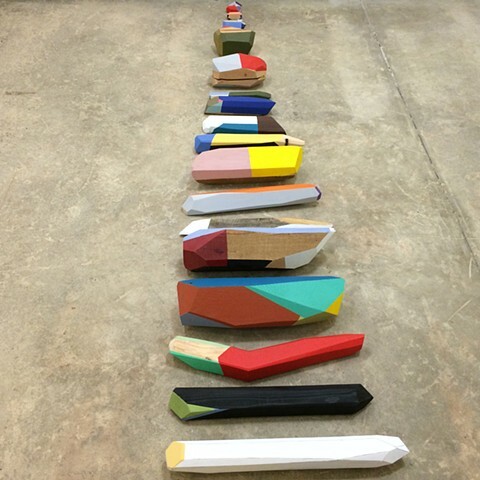 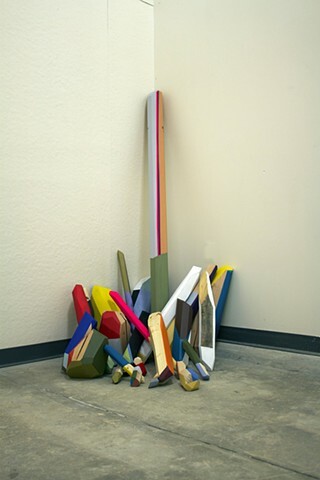 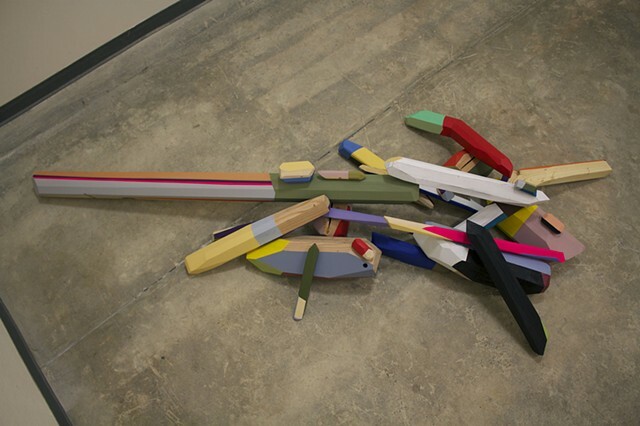 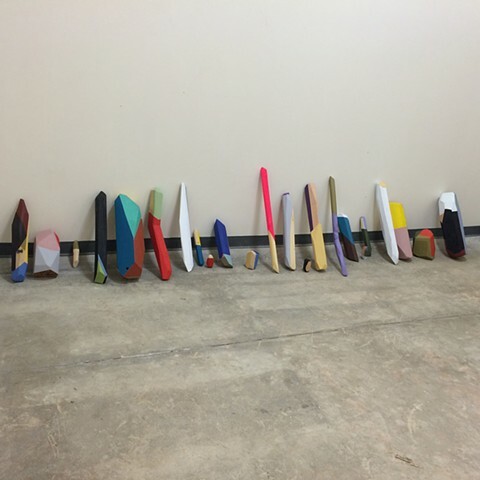 An installation composed of wooden pieces carved and painted with latex house paint. 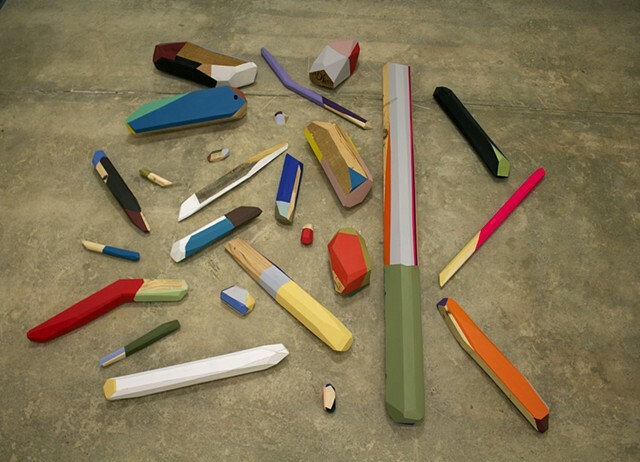 Each wooden piece is manually shaped, each facet's cut are determined by an algorithm. 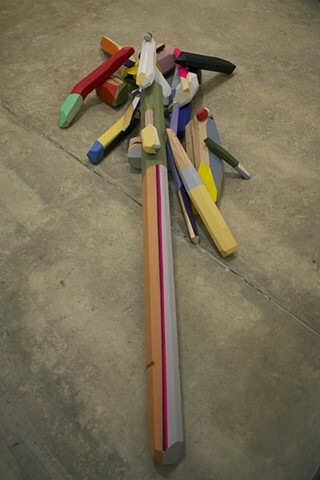 The pieces are then organized by a series of rules determining the shape of the overall piece.